Since 1919, Metcalf Moving & Storage has specialized in handling the moving needs of families and businesses in Minnesota and beyond. 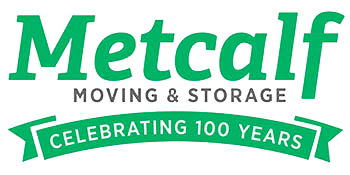 Metcalf Moving & Storage is headquartered not far from where Allen & Elna Metcalf started the business in 1919. Elna set up moves from the kitchen and Allen designed and built the first van body on an REO Speed Wagon. Their son, Allen Metcalf Jr., purchased the business from his father in 1951, after returning from a tour of duty with the US Army during the Korean conflict. In order to better serve our long-distance customers, we became an agent for Mayflower Transit in 1967. Then, in 1972 we expanded, opening an office and warehouse in Rochester, MN. After working for Metcalf Moving & Storage for 31 years, Jon Archbold purchased the company from the Metcalf family in 2003. Under his leadership, we have continued to serve our customers with service that is unsurpassed. Metcalf Moving & Storage is a multi-year winner of awards from Mayflower Transit including the Heart of Quality Award, Performance Excellence Award, and the Customer Choice Award. We are also the winner of the 2008 Integrity Award from the Better Business Bureau. We are the only mover in Minnesota to have received that award.